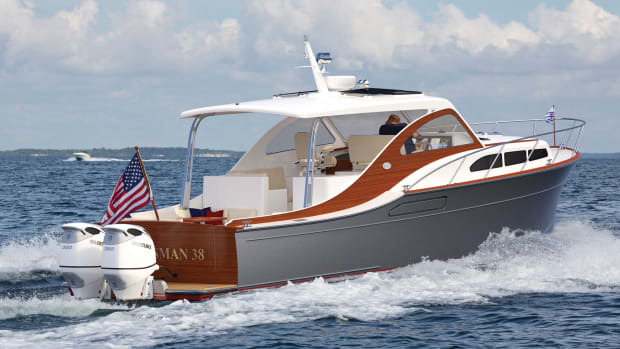 The hard-charging builder celebrates 50 years with a genre-defying flagship. “The flame that burns twice as bright burns half as long,” wrote the ancient Chinese philosopher Lao Tzu. 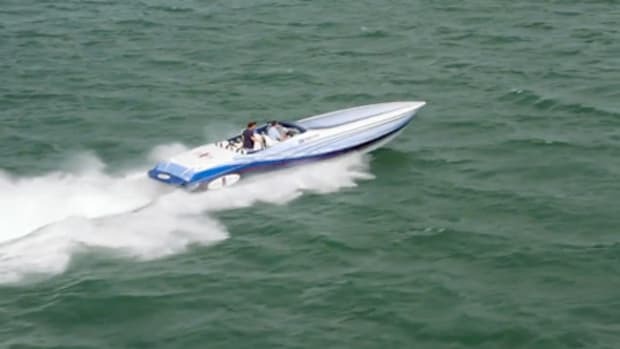 Few burned more brilliantly than Don Aronow, the king of Miami’s Thunderboat Row. The dead-end, north Miami boulevard was red hot in the 1970s and 80s with a cadre of go-fast pioneers led by Aronow, a world champion offshore racer, builder and founder of Cigarette Racing. 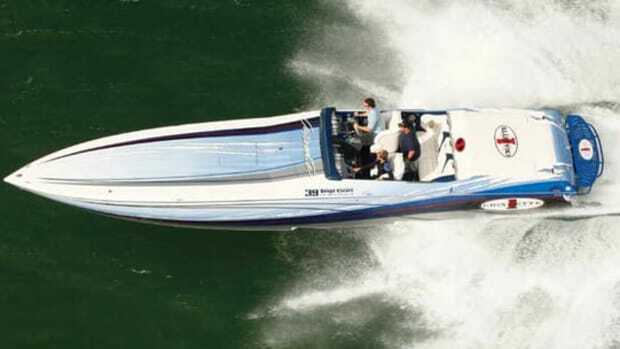 Both Thunderboat Row and Aronow are long gone, but Cigarette Racing remains under the guidance of Skip Braver, CEO and owner since 2002. Braver’s experience in on-road exotics was an ideal match, leading to high-profile collaborations with Mercedes AMG and Ducati motorcycles that expanded the customer base beyond the go-fast, poker run crowd. To celebrate their golden anniversary, Cigarette Racing aimed to stick to their guns but also continue to push the bar on aesthetics and performance. 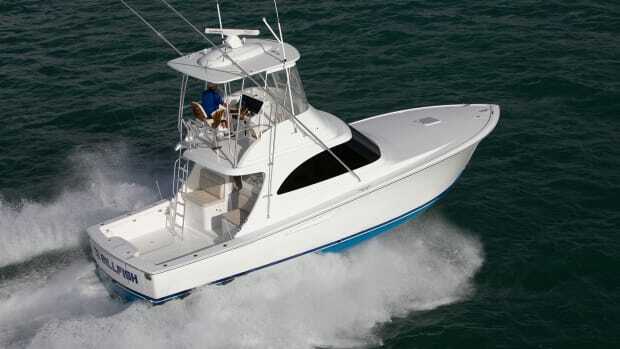 Two years in the making, the 59-foot Tirranna honors 50 years of offshore racing as the largest offering in a line of performance boats and center consoles from 38 to 50 feet. 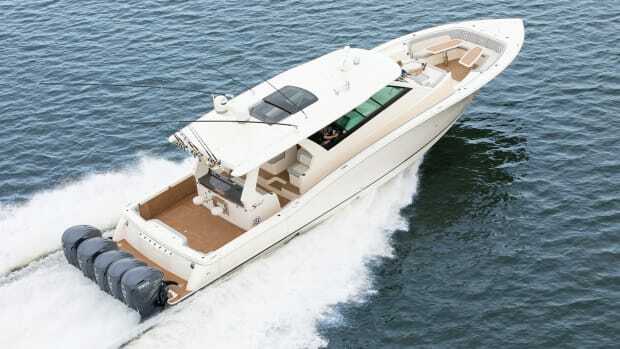 She “had to be a flashy performance boat and look like a Cigarette,” Braver said, and the 59 delivers on both fronts. 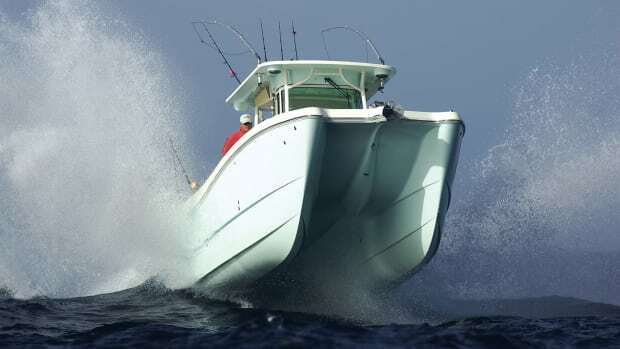 Powered by a sextet of 400-hp Mercury Verado Racing outboards, she’ll see a top end of 63 knots. 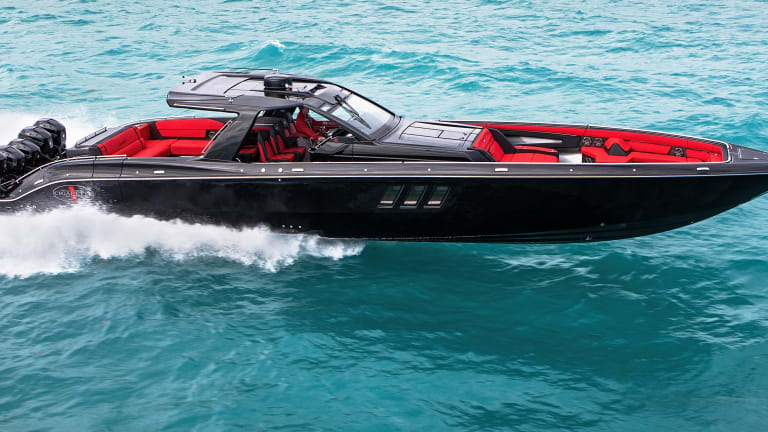 And the aggressively raked, carbon fiber hardtop is the perfect complement to a jet-black hull (“It took six weeks to paint the boat,” Braver told me) set off by miles of red leather. There’s no mistaking the 59’s pedigree. 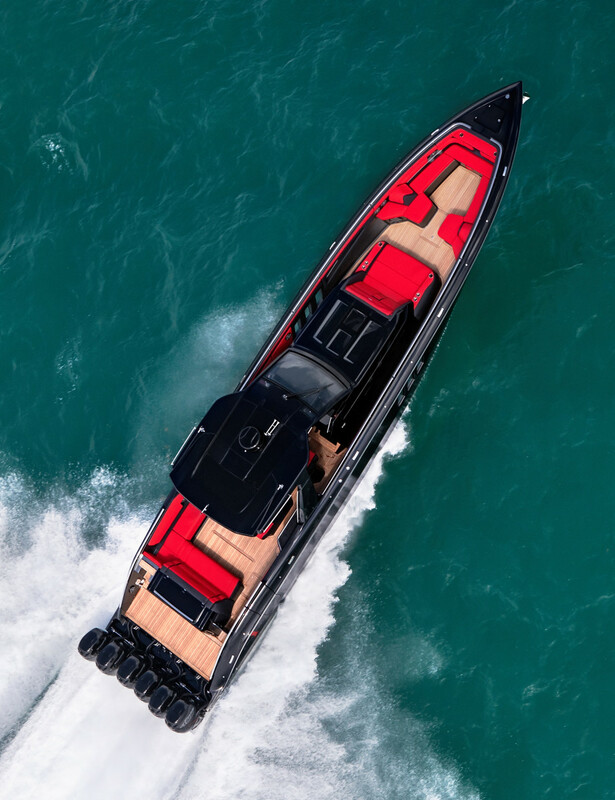 With the goal of making the super console, luxury sport yacht segment even more appealing to customers, care went into the details. Teak soles from stem to stern set off the red and black color scheme with comfortable seating and sunpads everywhere, easily able to accommodate well more than a dozen guests. 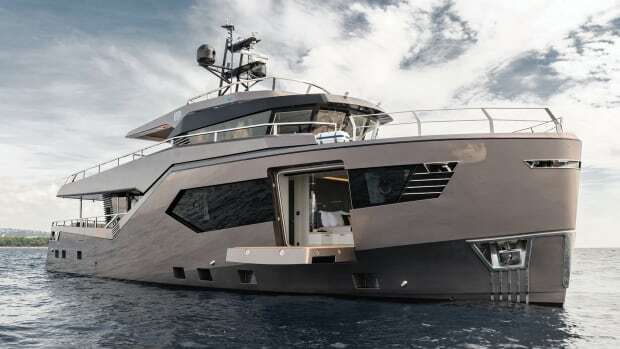 I particularly liked the alfresco galley built into the transom, with the wide swim platform (the engines are mounted on a beefy bracket that keeps the platform untouched) serving as an ideal perch for the chef. I was also impressed with Tirranna’s electronics package. 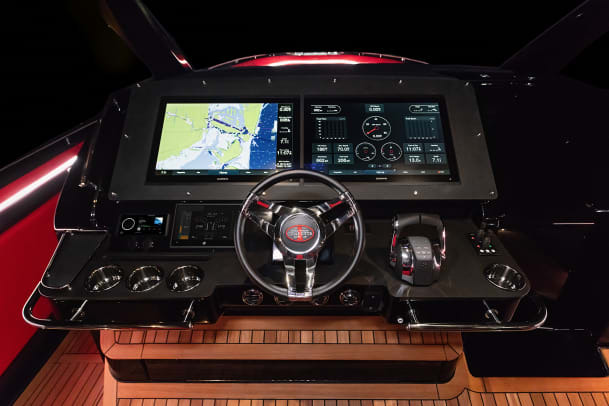 Six Garmin touchscreens are mounted throughout the boat—two 24-inch monitors at the helm and four 9-inch screens in convenient spots—to control onboard networks. I can see my crew using the touchscreens to commandeer the 29-speaker, 5,200-watt JL Audio sound system—yet another way to make a bold first impression. Below decks, Cigarette tapped the iconic Italian design house Poltrona Frau to craft a striking interior in contrasting black and white leather. A convertible California king berth and head with separate shower allows for naps or overnights. 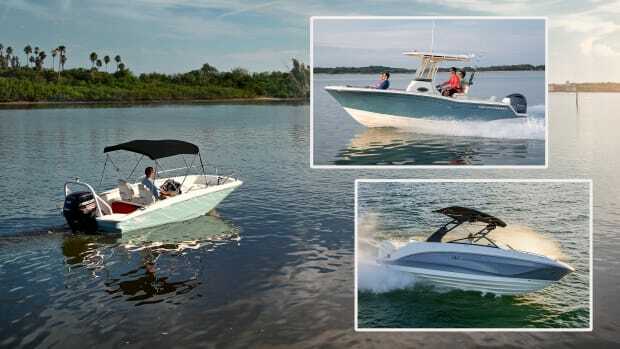 “The  is a different type of boat for a different type of customer. We keep pushing the bar,” said Braver. Cigarette has four 59s under construction at their Opa-Locka facility, fifteen miles west of the luxe condos that now line Thunderboat Row. 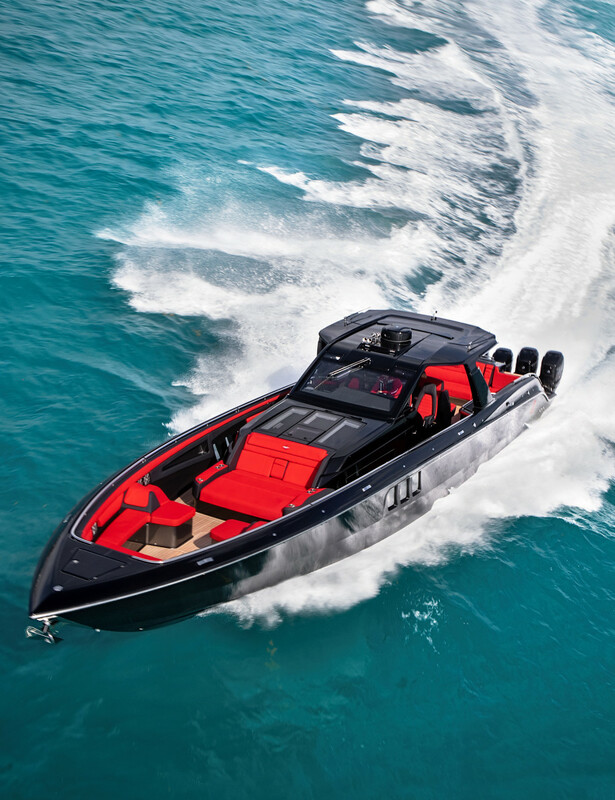 The new boss is the same as the old boss—driven by speed and style—and determined not to burn out and fade away but continue to innovate the hard-charging brand for a new generation of boaters. 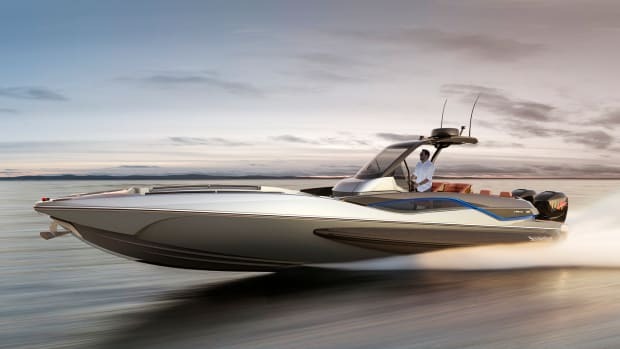 This article originally appeared in the July 2019 issue of Power & Motoryacht magazine.